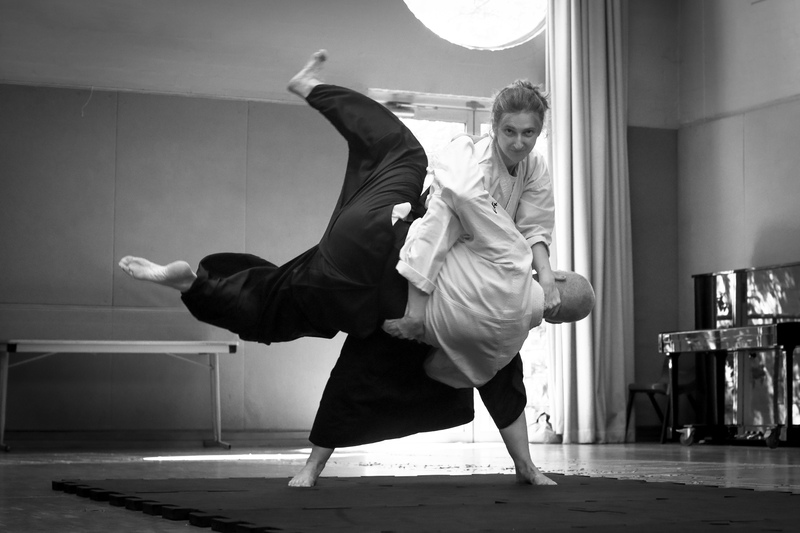 Engaging your core muscles is essential for aikido and aiki body training. Below is a description that I found really helpful. Core muscles work optimally when engaged no more than 25–30%. This is really important. If you do more than this you recruit additional muscles and will no longer be doing this exercise. It should feel like no more than a gentle squeeze. The following text is from “The Official Body Control Pilates Manual” which I thoroughly recommend. Images are sourced from physioworks.com.au, an excellent physiotherapy site. Sit on an upright chair. Make sure you are sitting square with your weight evenly distributed on both buttocks. Imagine that your pelvic floor is like a lift in a building. This exercise requires you to take the lift to different floors. Breathe in wide and full into your back and sides and lengthen up through the spine. 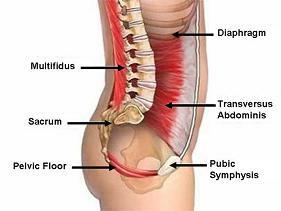 As you breathe out, draw up the muscles of your pelvic floor as if you were trying to prevent the flow of urine and take the pelvic lift up to the first floor of the building. Breathe in and release the lift back to the ground floor. Breathe out and and now take the lift up to the second floor. Notice how when you do this the lower abdominals automatically engage. Breathe out and take the lift up to the third floor. When you reach the second floor, you should feel the deep lower abdominals engage. Some people may feel this at the first floor. This is the tranversus abdominis muscle coming into play. By starting the action from underneath, you encourage the ‘six-pack’ muscle (rectus abdominus) to stay quiet. If you were to take the lift all the way to the top floor, you would probably be engaging the muscles at over 40 percent and the rectus abdominus, which is a superficial abdominal muscle, would take over – so keep the action low and gentle. Do not allow the buttock muscles to join in. Don’t take your shoulders up to the top floor too – keep them down and relaxed. Try not to grip round your hips. Keep the pelvis and spine quite still.